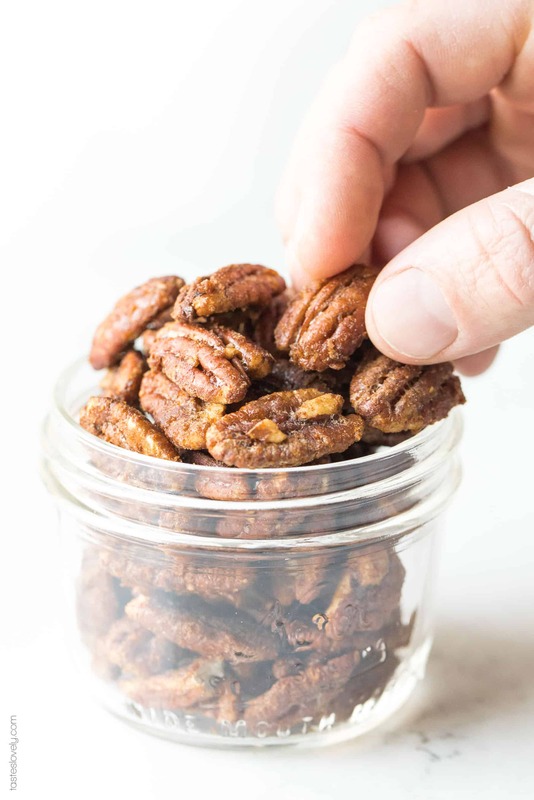 Healthy Paleo Candied Nuts – made with both coconut sugar and maple syrup. Just 5 ingredients! Great as a snack, on salads, or to give as a hostess gift. Gluten free, grain free, dairy free, refined sugar free, clean eating, healthy living. 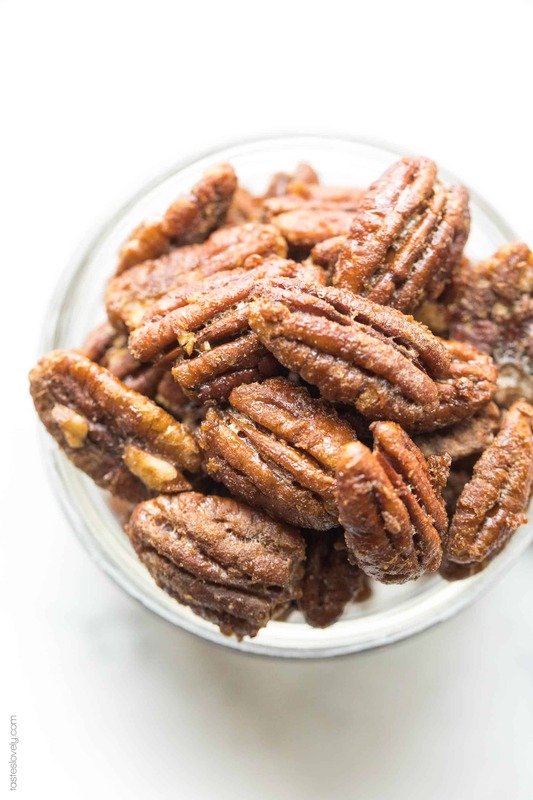 One of my favorite indulgences is candied pecans. 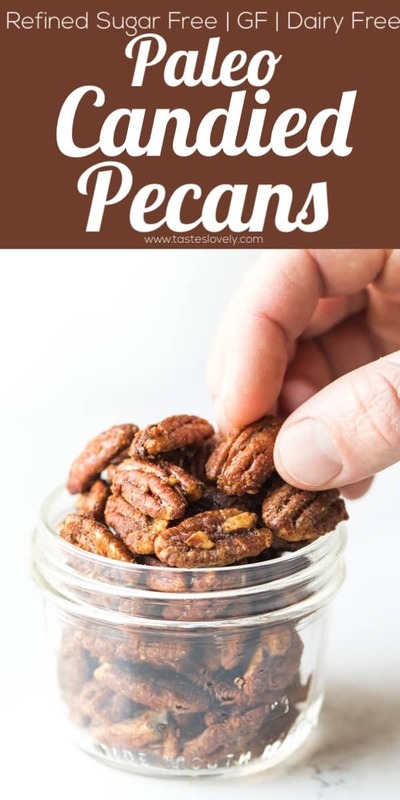 Pecans are by far my favorite nut. Coat them in a sweet and salty candy coating and it’s the best treat in the world. 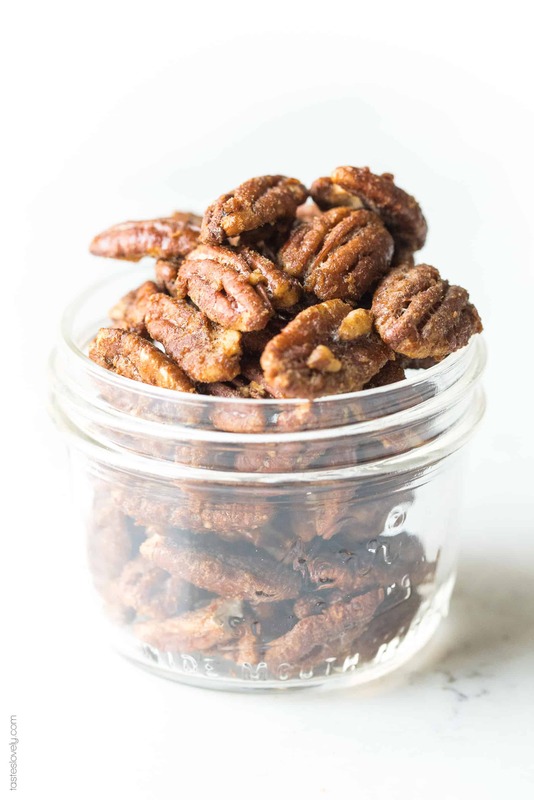 This is an healthy version of my previous favorite candied nuts recipe, but this one is refined sugar free since it is sweetened with coconut sugar and maple syrup. Now I can enjoy my sweet and crunchy pecans practically guilt free. You start by combining egg whites, coconut sugar, maple syrup and salt. That’s it. Just 4 ingredients. Simple, right? 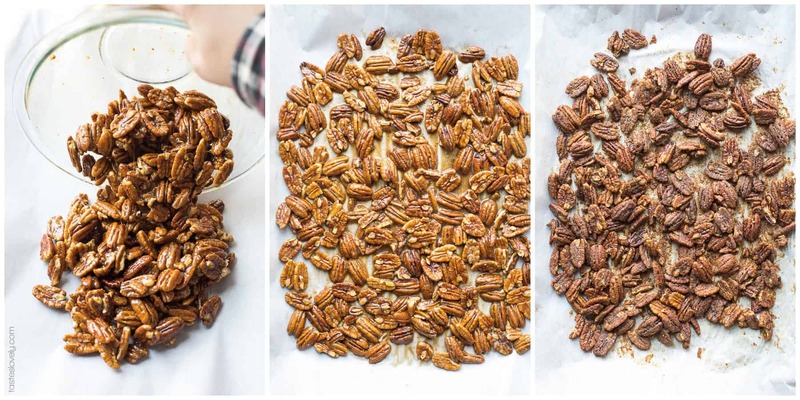 Whisk it together, then fold in the raw pecans. Spread them out on a rimmed baking sheet that has been lined with parchment paper. Trust me, you’re going to want to the parchment paper to avoid sticking and make for an easy cleanup. 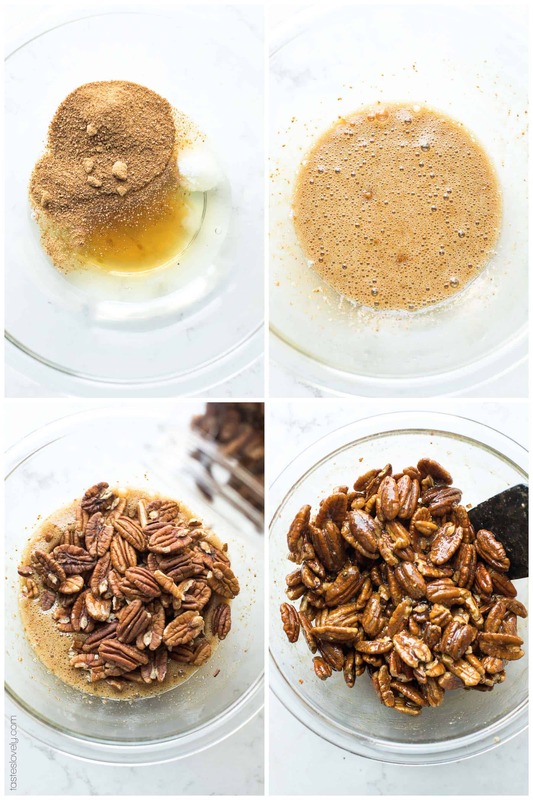 Roast at 250ºF for 1 hour, and your paleo candied pecans are ready! I love to serve mine on top of salads, or to eat straight from the jar as a snack. These also make an amazing hostess or neighbor gift during the holidays! Everyone I gift these too goes nuts for them. Preheat oven to 250ºF with the oven rack in the middle. Line a rimmed baking sheet with parchment paper. In a medium mixing bowl, combine the egg whites, coconut sugar, maple syrup and salt. Whisk to combine. Add in the nuts, and toss until they’re evenly coated. Spread the candied nuts in an even layer on the rimmed baking sheet. Bake for 1 hour, toss the nuts half way thru. Remove from the oven and allow to cook completely, at least 15 minutes. When you take the nuts out they’ll still seem “soft”. Don’t worry, they crisp up after they cool. Break the nuts apart and serve.